That sound you hear is millions of guys weeping over Me Before You, the tearjerker starring Emilia Clarke and Sam Claflin. Not because the film is a real weeper (which it apparently is), but because they'll definitely be dragged to see it next month as it has already caught on as this year's The Fault In Our Stars. The latest trailer is bound to stir up a few sniffles and dusty eyes, just as the previous one did. 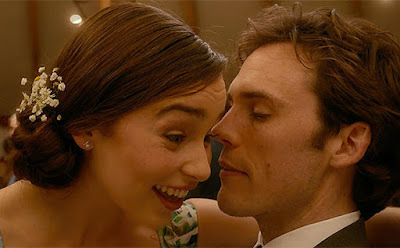 Clarke plays the quirky Louisa, a small-town girl who takes a job as caretaker to Will (Claflin), an adventurous businessman who is left crippled after an accident. Despite his better judgment he can't help but fall in love with the woman who gave him a reason to live again. There's obvious chemistry between the Game of Thrones and 'Hunger Games' stars here, as they show their passionate and playful sides with one another. But will this story have a happy ending? Fans of Jojo Moyes' novel already know the answer; the rest of us will have to wait until June 3rd to find out. Probably not, though.